The word tapa means lid or to cover in Spanish – specifically, the ‘lid’ created by the slice of bread that the innkeeper would thoughtfully place on top of a customer’s wine or beer glass to keep out the flies and dust between sips. The Andalucians then came up with the idea of balancing a morsel of something tasty on top of the bread to nibble on – a few slices of cheese or ham and a new Spanish institution was born. Today tapas have evolved into a diverse cuisine, which can be served hot or cold. The range of tapas dishes are astounding and reflects the diversity of ingredients Spain has to offer, which include cured meats, seafood, vegetables and cheese, as well as delicate flavours such as smoked paprika, saffron and of course olive oil. Variety is the spice of life! Our restaurant offers dishes that are made from traditional classic Spanish recipes and many of our ingredients are sourced from Spain. Tapas are a wonderfully sociable way to eat, food like life, is best shared with friends and loved ones. 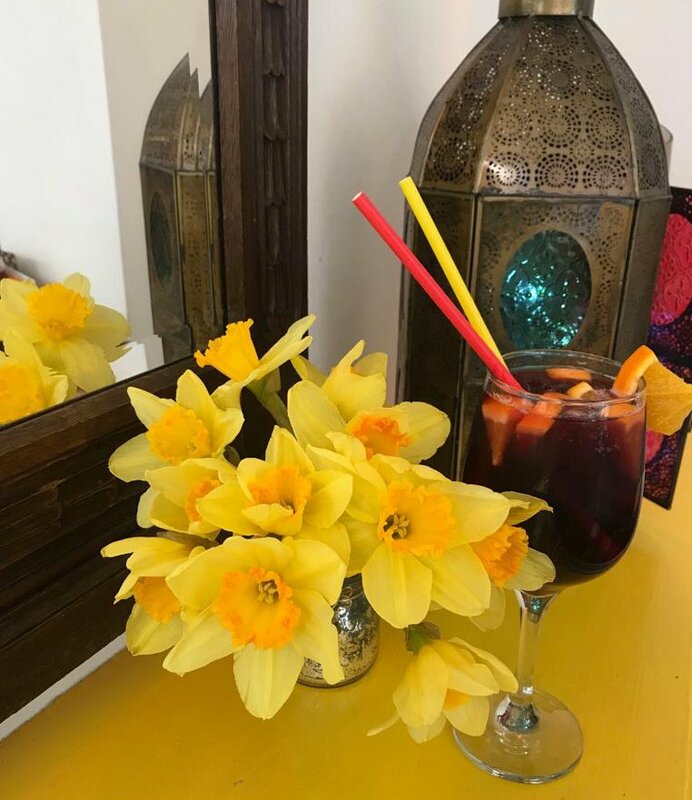 So, with that in mind we have created a friendly and relaxed atmosphere for you all to come and enjoy a taste of Spain here in Folkestone, Kent. Whether you’re looking for a coffee, a snack at lunchtime or an evening meal with wine, beer or sangria - El Cortador is the place to come. We look forward to welcoming you in the Old High Street, the heart of the wonderful Creative Quarter, Folkestone.